Loveland is located right on the summit of Loveland pass where the I-70 tunnel enters the mountain. It’s popular with budget-conscious skiers from Denver, but most destination skiers visiting Summit county drive right past through the tunnel. It’s known for consistently being one of the first 2 resorts that open in North America every year — usually in October. This review is really a placeholder for the real review we will do some day after we go back. I’ve skied Loveland twice. The first time was in early November in about 1986 with 2 runs open on 100% snowmaking when I was going to college at Western State College in Gunnison. The second was in December 2014 during what turned out to be one of the biggest storms of that ski season. About 40″ of snow fell in 2 days, and the weather was so bad we couldn’t make it into the main parking lot with our rental car. We did the only thing we could which was to go downhill to the Loveland Valley part of the resort. The pass closed right after we made it through the tunnel, and white-outs were frequent. People that know the place and ski there seem to love it for the lack of crowds, great snow, and lots of variety including a good quantity of blue groomers. Yes, the lifts are old and the lodges need replacing, but this is a skiers-only mountain with bad weather, pretty intimidating steeps, and no village or lodging close by. The day we were both there the snow was so deep that it was difficult to even get speed up to make turns on the easy blues available in the Valley. 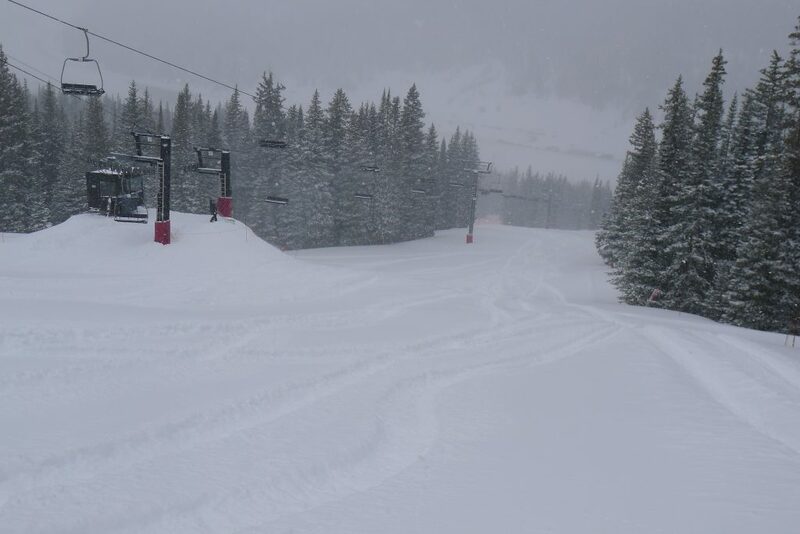 We were 2 of about 20 people trying to make some turns on lift #3 which was the main lift that was open that day. 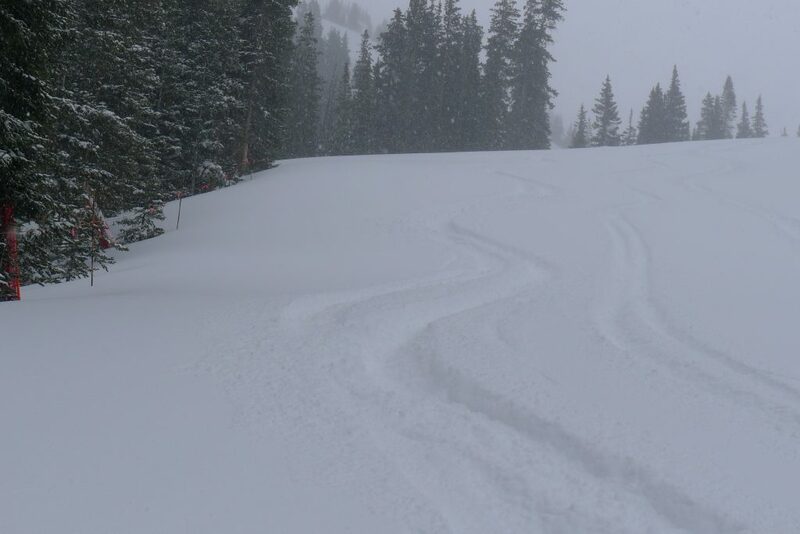 Still, it was the deepest powder day of the 2014/15 season for us, which counts for something! 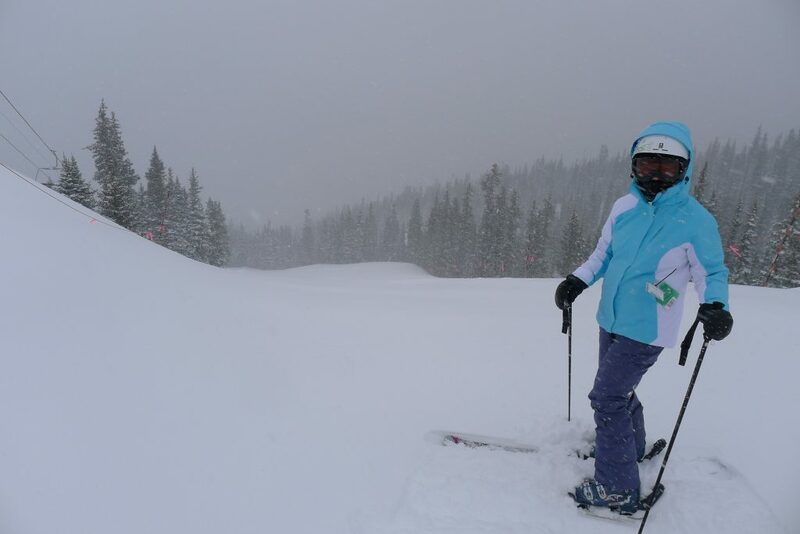 We would really like to go back and would choose Loveland over Keystone any day, but we need to do it when the weather is a little less extreme next time!